It is easy to reflect a loved one’s style with the many choices available in Trigard’s Trilogy cremation urn vault. Each vault is hand painted. 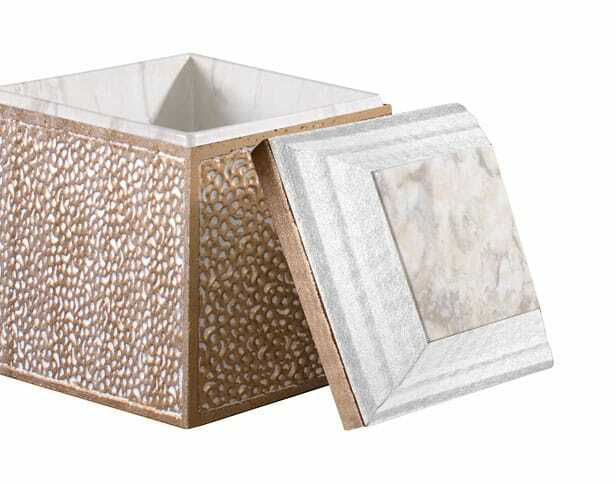 Paint the cover or choose a simulated marble cover. 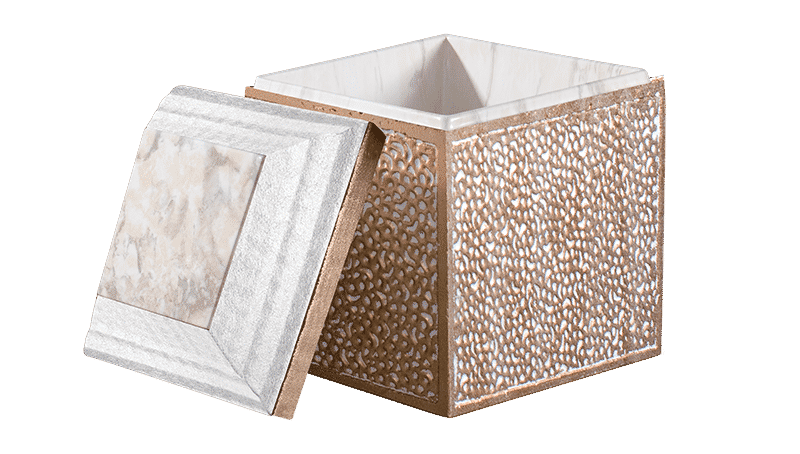 Choose a textured brown surface or the simulated marble for the interior. 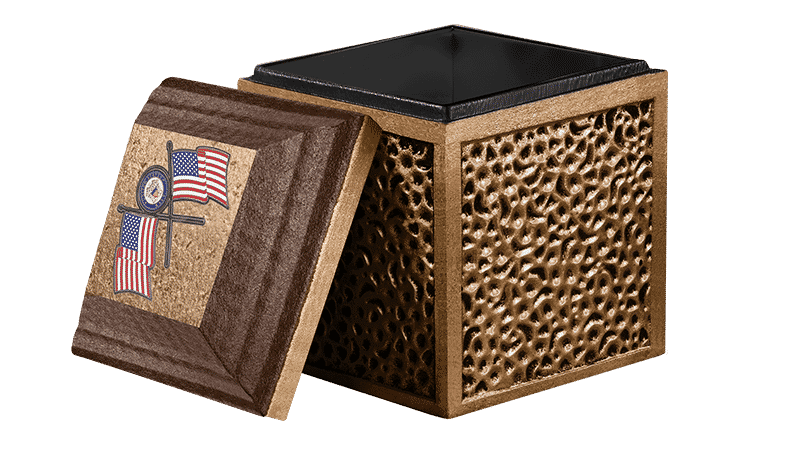 The Trilogy urn vault is a concrete reinforced vault with an arched cover, tongue and groove design, tape seal and thermoformed polymer liner. 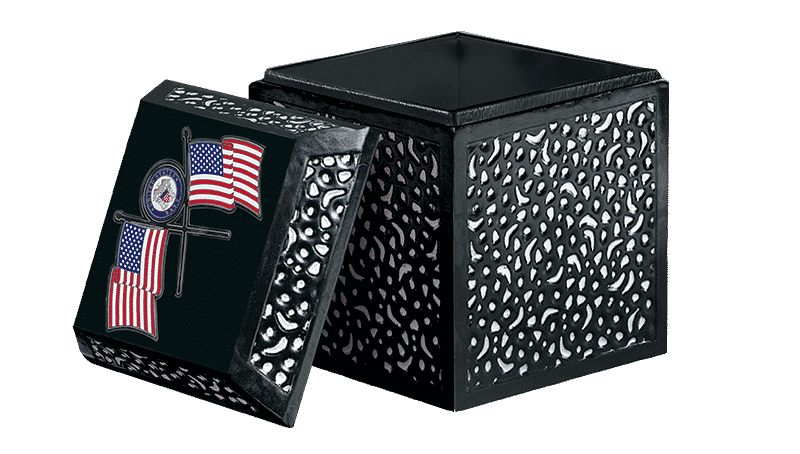 Trigard also offers a low profile Trilogy urn vault. 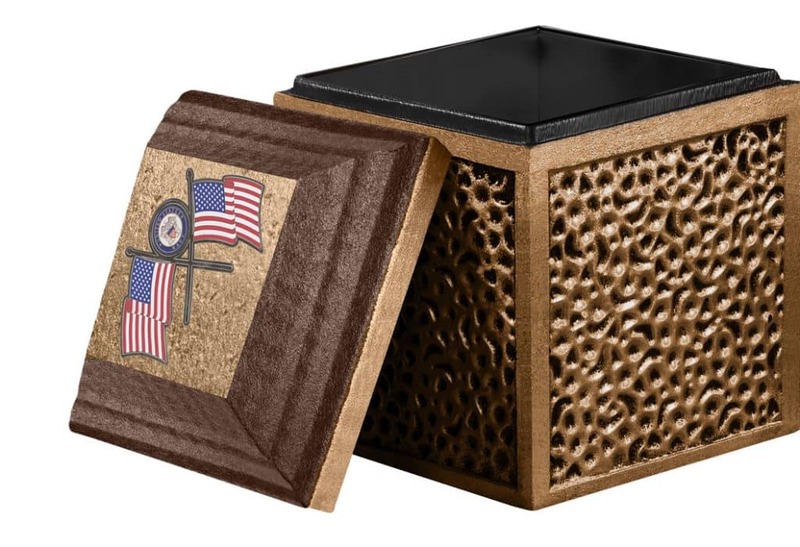 Sometimes referred to as a “short urn vault,” it is designed for interment above an existing, interred burial vault. The finished vault size is 15” wide x 15” wide x 14” tall. The interior is large enough for companion remains.